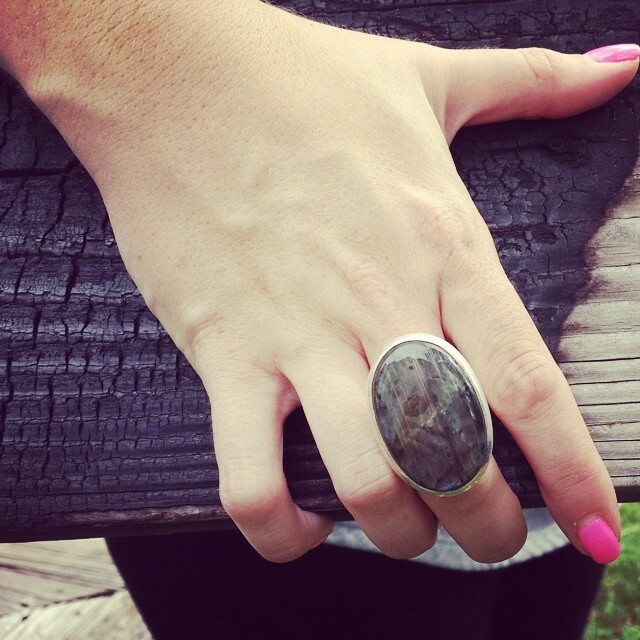 Hunter Ridge Jewelry | Jewelry Obsessed….. While I haven’t lived up to my promise to update this topic weekly (been real busy sourcing new product!) I figured now was as a good a time as ever to brag about just a few of the interesting pairs of earrings we’ve come across and added to the store inventory. These outrageous earrings are from the studio of master silversmith Margot de Taxco (Van Voorhies). While the robbin’s-egg-blue enamel has some rough spots, they are still an iconic example of Margot’s work —– at an excellent price point. Fully signed and hallmarked. We purchased them at auction along with a large collection of other pieces by notable Mexican silversmiths. Classic 1960’s Tiffany & Co. Earrings. What else is there to say? 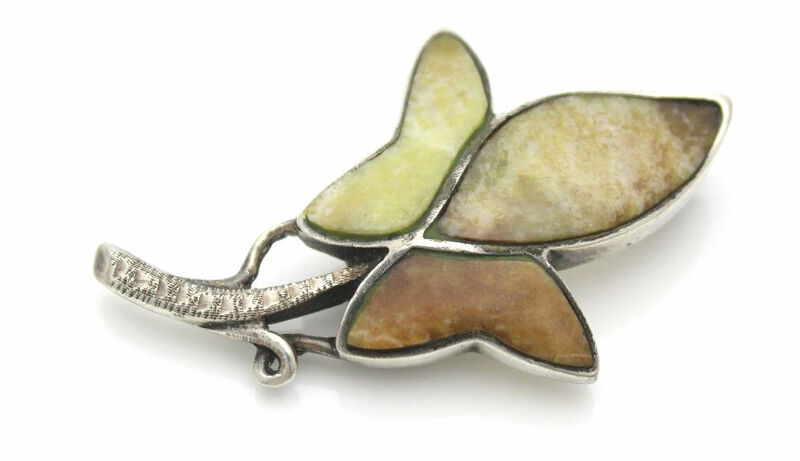 Absolutely gorgeous tiger lily earrings by American “enamel queen” Merry-Lee Rae. Entirely artisan hand crafted, they sure to be the only pair at the party. 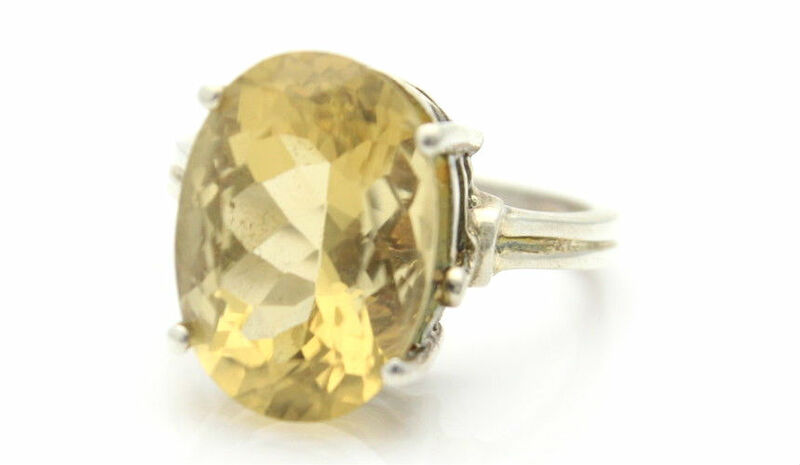 We’ll be featuring some gorgeous natural gemstone rings in the coming weeks. 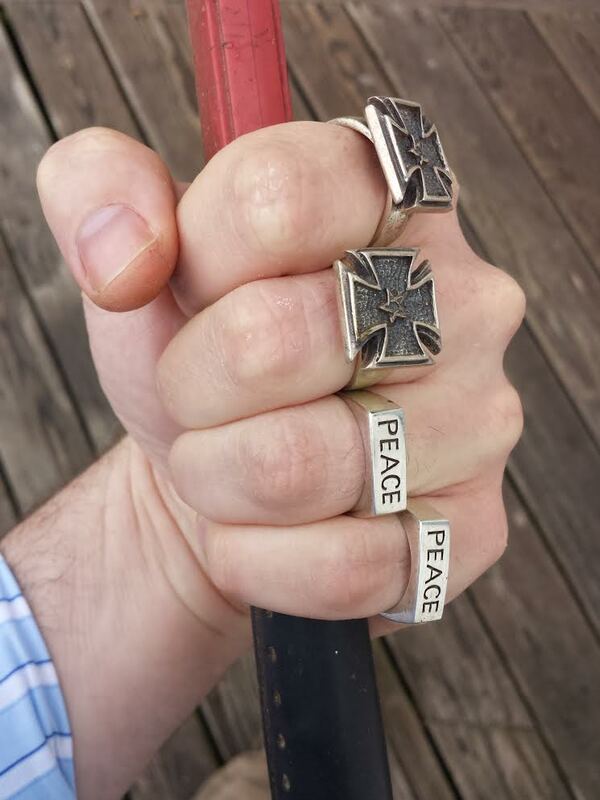 These rings are awesome in their hugeness! Enjoy these preview photos. 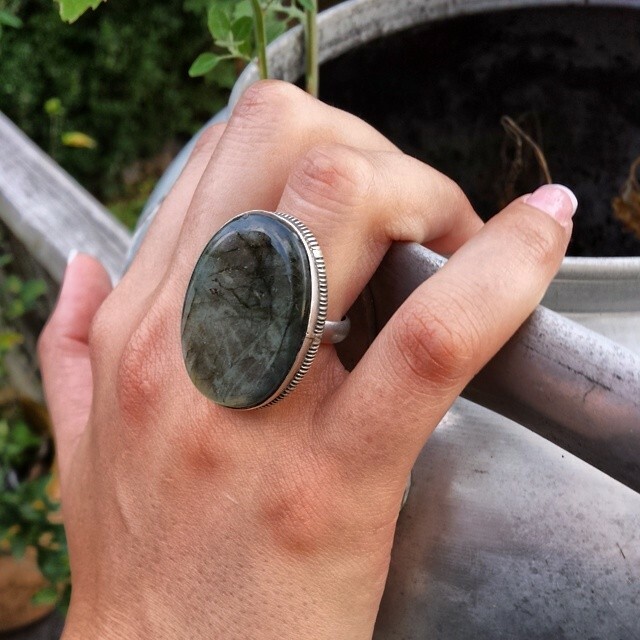 The marquise shaped ring is rainbow moonstone and the other two are labradorite. These will be the first three available in the store. Contrary to popular belief, jewelry can be a valuable and dependable form of investment — if it is acquired intelligently with a focus on current value. In fact, for most of human history, jewelry was a simple, dependable and convenient means for storing wealth in a quasi-functional form. Changes in economic models, global and domestic economies, the global fashion industry, advertising norms, and the commonality of person-to-person transactions have drastically impacted the usefulness of jewelry as an investment vehicle. These changes began in earnest in the 19th century and progressed very rapidly in the second half of the 20th century. As a result of these economic and cultural forces, jewelry investment has become less common for most of us. However, jewelry investment remains an excellent way to store wealth and insulate yourself from inflation. How do you accomplish these goals? The answer may be pretty simple: make educated acquisitions of preowned jewelry. And, we are talking about jewelry that can be purchased by the average person, as opposed to gems of exceptional rarity or museum quality pieces. This article looks at the difference between the various metals used for jewelry that include the word “Silver” or are often mistaken for silver. It is a companion piece to our article on gold and gold jewelry. If you buy silver jewelry for collectible purposes, business purposes or simply because it’s beautiful, it is important to know exactly what you are buying. The purpose of this guide is to prepare you, as a consumer, when shopping for silver jewelry. Before getting into jewelry specifics, it’s good to have a grasp on some of the fundamentals of Silver. Silver, like gold, is an elemental metal. This means that pure silver is made up of nothing but Silver atoms (represented on the periodic table by the symbol Ag). Other examples of elemental metals include copper, aluminum, platinum, iron and lead. 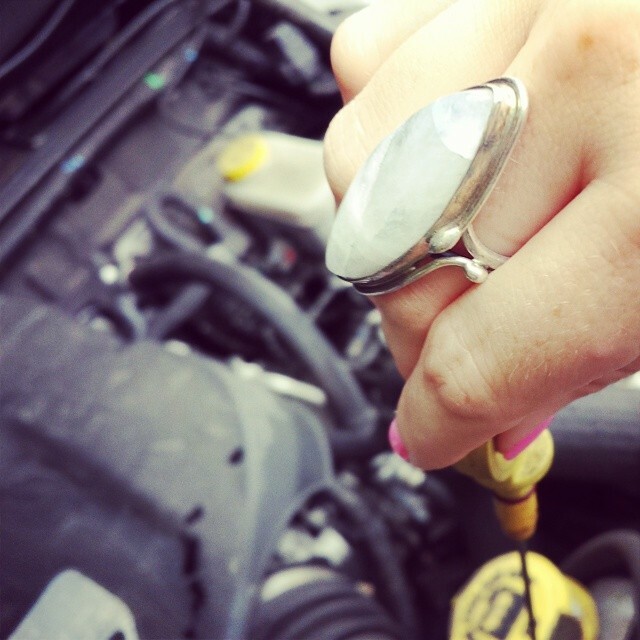 In its pure elemental form, silver has a white metallic appearance. It also has a high luster (shiny), is very soft (scratches easily) and is quite malleable (can be hammered into different shapes). When people discuss the “price of silver” or “spot price of silver” or “silver bullion prices” they are referring to pure elemental silver, or more exactly, 99.9% pure silver. “Pure” metals, like elemental silver or elemental copper, are distinguished from metal alloys – which are metals made up of two “pure metals”. For example, brass is an alloy that is made up of copper and zinc. To make brass, copper and zinc are melted together. Likewise, one can make various silver alloys by combing silver with other elemental metals. Silver jewelry can be made from near pure silver (99.9% silver known as “fine silver”) or one of any number of alloys. Fine silver (99.9%) jewelry is somewhat uncommon. The most common silver alloy used in jewelry today is “Sterling” silver, which consists of 92.5% silver and 7.5% some other metal (often copper, but sometimes zinc). The majority of silver jewelry in the United States, and most developed nations, is made from “Sterling” (92.5%) or finer silver. Because different alloys of silver contain different percentages of pure silver, it is important to know which alloy was used to make a piece of jewelry. 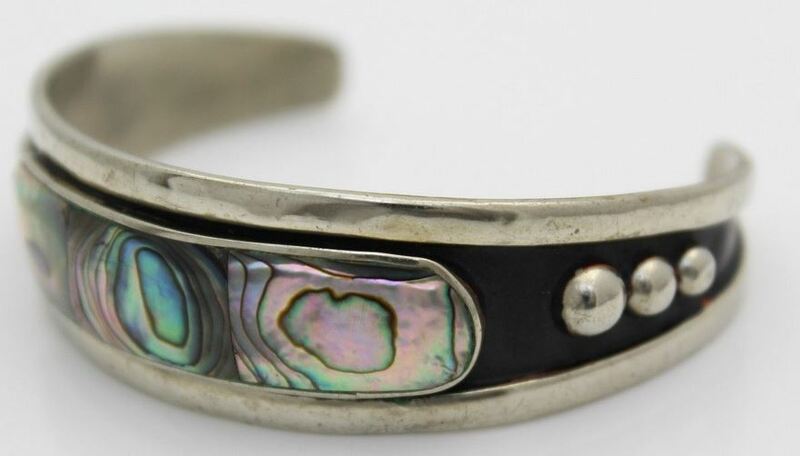 For several hundred years now, most major silver manufacturing countries use what are known as “fineness marks”, “hallmarks” or a combination of both. As mentioned above, fineness can also be indicated by a word. The two most common words encountered in the United States are “Sterling” and “Coin”. Sterling is, as discussed above, 92.5% silver. 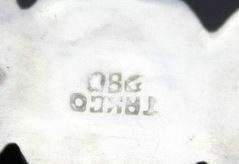 U.S. Law (and the law of most developed countries) prohibits the marking of any non-silver item with a silver purity mark. (See, for example, 15 U.S.C. 8 S. 296). However, a set of stamps to make these marks can be purchased online for about $20.00 —- by anyone. Therefore, the fineness mark can only be trusted as much as the person who put it there. 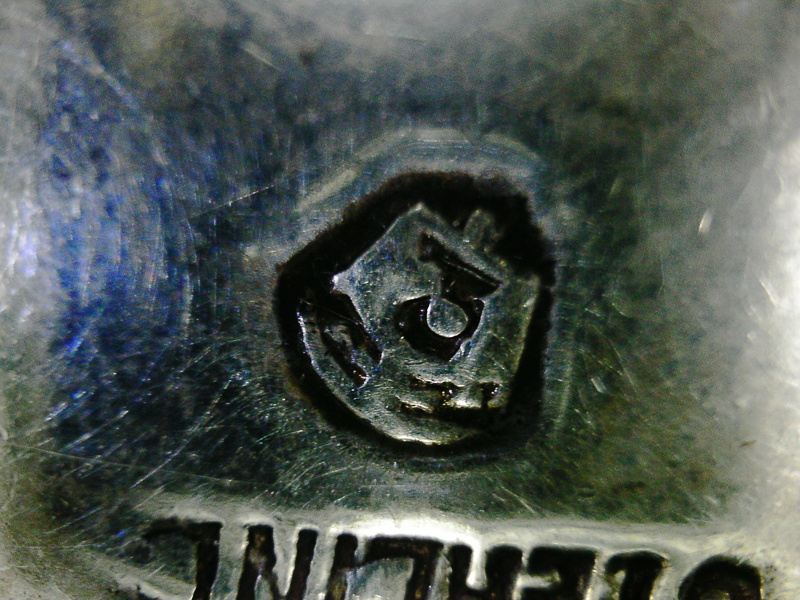 Unlike a fineness mark, a hallmark is a mark that indicates that an official (usually a local assayer) in a particular country guarantees that the item is made from a certain percentage of silver. While hallmarks can also be counterfeited, it is somewhat unusual. Hallmarks usually consist of a picture or a combination of a picture and text. Pictures used are often of local or historically important animals, current or prior rulers / sovereigns and certain plants. The United States does not use hallmarks. However, many countries with far greater histories of silversmithing employ or did employ at one time, a complex hallmarking system. There are a number of excellent guides available on the internet that can assist you in identifying a particular hallmark. Our favorite is 925-1000.com. 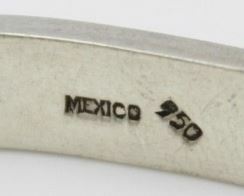 Set forth below is a common example of a hallmark previously used in Mexico and often encountered on vintage silver jewelry found at U.S. Fleamarkets, Yard Sales, and Estate Sales. This Mexican Mark is meant to represent and Eagle. It really does not look anything like an eagle in most examples. Be weary of eagle head marks on Mexican Jewelry. Those are counterfeit marks and are quite common on tourist bangles. If you encounter an item that is not marked with a fineness mark or hallmark, or an item that does have such a mark but you suspect is not silver, you will need to test the item or have it tested by someone else. 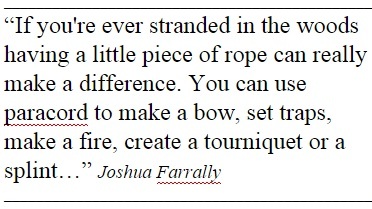 With experience, it will become less and less necessary to test such items. See our article on testing silver for more info (to be published on or about June 15,2014) or simply google “silver testing”. In addition to real silver jewelry, there are two common substitutes that use small amounts of silver to mimic the real thing: Silver Plated Jewelry and Silver Filled Jewelry. 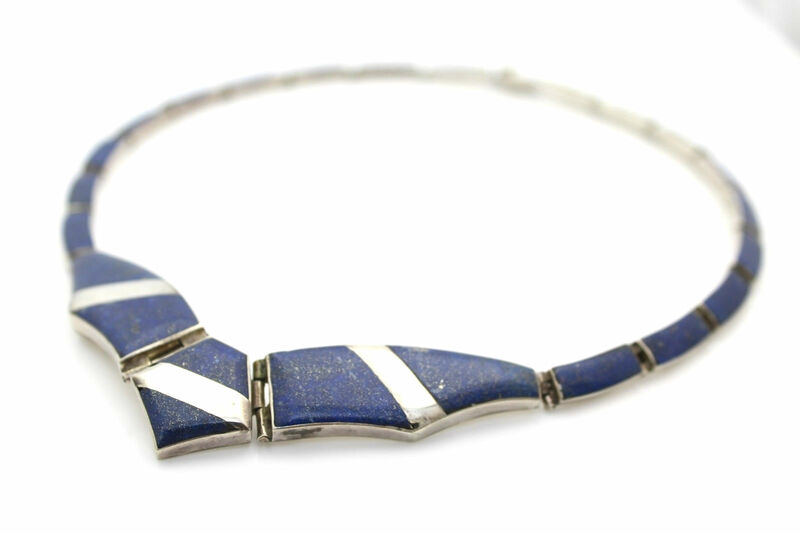 There is nothing wrong with this type of jewelry – as long as it’s not marked or sold as real silver jewelry. Silver Plated jewelry is NOT real silver. It is brass, copper or other metal jewelry that has a very thin layer of silver applied on the surface. There is no calculable value to the amount of silver in silver plated jewelry so it should be judged on its aesthetic, artistic and collectable qualities rather than its inherent metal value. Most silver plated jewelry in the marketplace today is electro-plated. Electroplating is a chemical process where a base metal item (e.g. a copper brooch) is placed in an electrolytic solution and connected to the “cathode” end of an electrical circuit (e.g. a large battery). A piece of silver is connected to the “anode” end of the circuit and then placed in the solution apart from the copper piece. Electrical current carries tiny silver “cations” from the silver bar to the surface of the copper piece. With sufficient time, a thin layer of silver forms over the copper piece. Once the process is complete, the copper piece appears to be made from silver. 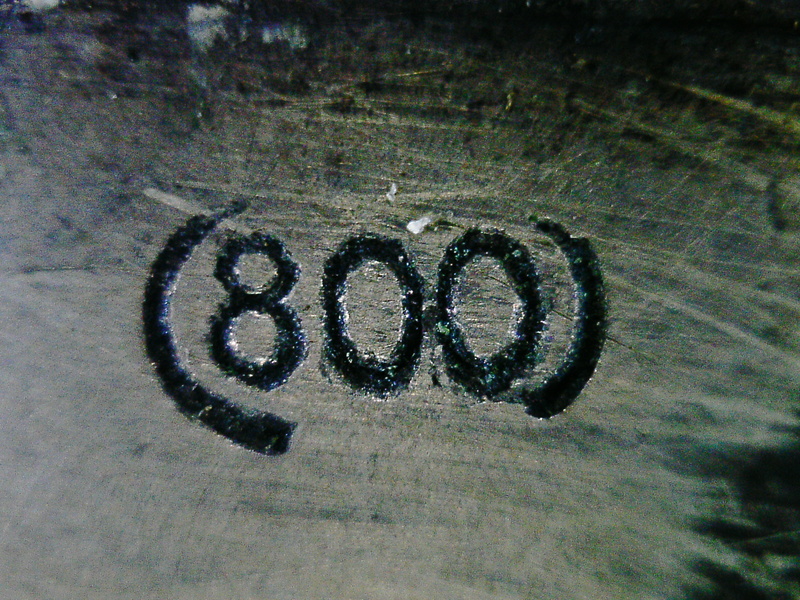 “S80” – this is a mark that appears on a lot of Chinese silver colored jewelry that is often also marked 925. This is not silver jewelry. It is merely plated with “925” Sterling Silver. S80 Silver is apparently a plating compound in many emerging market countries. 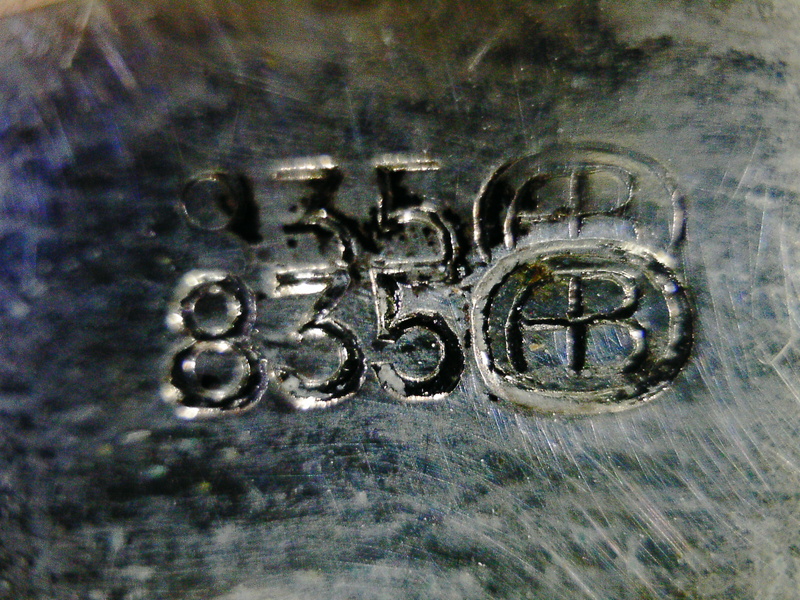 Sometimes the silver plate mark is confusingly blended with marks that look like hallmarks. This is especially common on pieces imported from Britain and Holland. Do not be fooled by these marks. An example appears below. Another confusing mark on silver plated pieces is the name of a manufacturer that includes the word “silver” such as “International Silver Co.” or “American Silver Co.”. These names do not mean that the item is silver. Rather if there is no mark indicating purity on the piece (e.g. 925 of “Sterling” or a hallmark), then the piece is almost certainly silver plated. 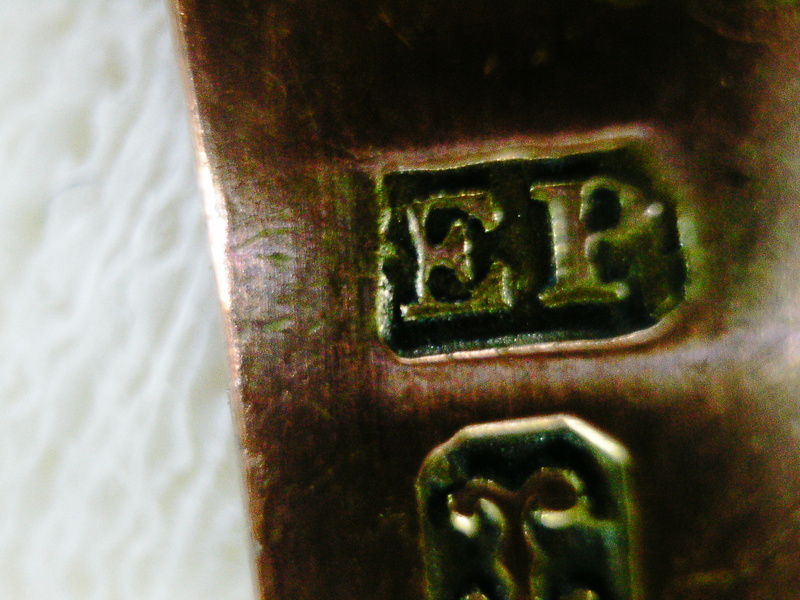 “1/5th Sterling” (sometimes consisting of only one sheet of silver on top of brass, copper etc.). “Sterling Cap” (always consisting of only one sheet of silver on top of brass, copper etc.). Nickel Silver goes by many names and often looks exactly like silver to the untrained eye. However, the one thing it’s not, is silver. Nickel Silver contains absolutely NO silver — zilch, zero, nada. It is a metal alloy formed by combining copper, nickel and metal. Except when newly polished, it has a luster and often “greens” (oxidizes) with age. It is very common in Mexican and Latin American tourist pieces where it is sometimes termed Alpaca. 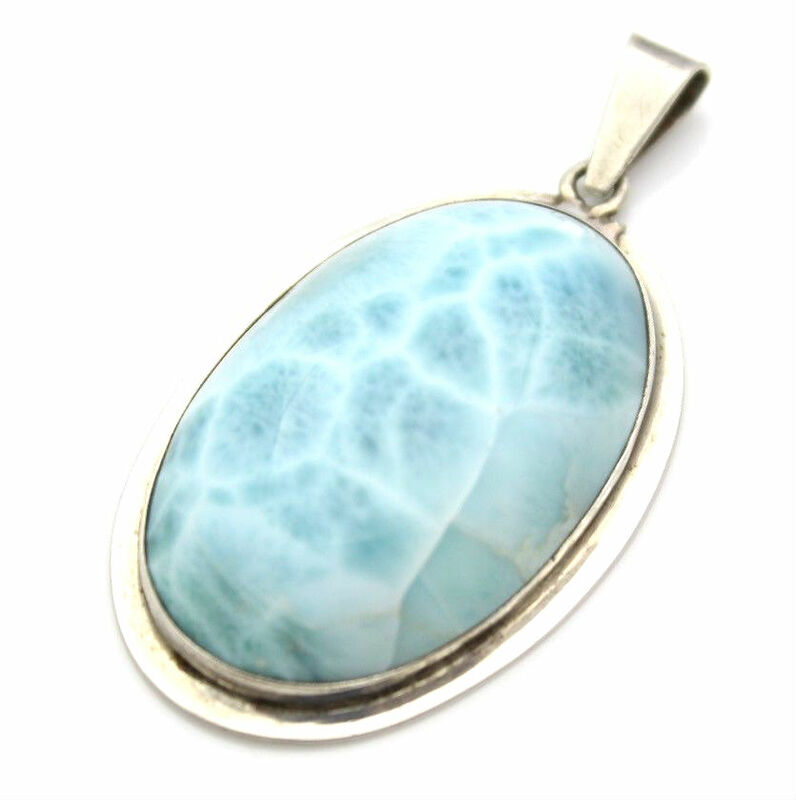 There is nothing wrong with Nickel Silver jewelry and some of it is quite beautiful. However, it’s important to know you are buying nickel silver and not real silver. 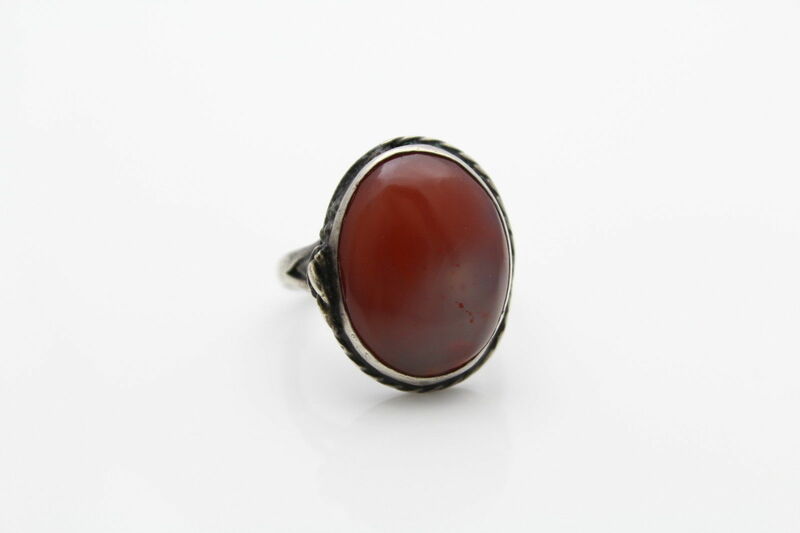 We are especially fond of early Mexican Alpaca jewelry that quite often features genuine gemstones. It has become a nice collectible in its own right and is much more affordable than silver jewelry. There exist countless other “silver” colored metals and even plastics that can be mistaken for real silver. When in doubt, have the items tested by a professional or learn to test silver yourself. In time, you will be able to distinguish all of these substitutes based solely on weight, look and feel. Please feel to free ask any questions or suggest additional details that might make this post more effective. Thanks as always for reading out blog!